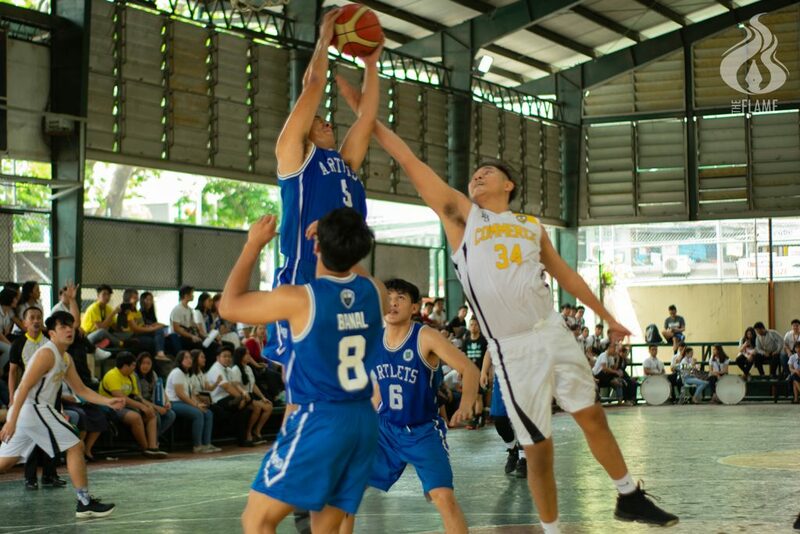 THE FACULTY of Arts and Letters’ (AB) Men’s Basketball Team exited the Thomasian Goodwill Games after dropping their quarterfinal match against the College of Commerce, 54-79. Commerce easily dominated the first half with their superior defense, preventing AB from converting steals into points. The multiple three-pointers and penalty shots by Nicko Bahia were not enough to overtake Commerce, 22-37. The men in blue sank deeper in the third quarter on the back of penalty shots and a technical foul. The aggressive fastbreaks of Alleyne Lapira and Bahia still failed to close the gap, 36-59. The 26-point deficit was too big to overcome in the last two minutes, 49-75, even with Robert Aldrin Obleno’s consecutive field goals. AB Men’s Coach Carlo Tomacas said the Faculty’s training program needs improvement because his team did not have enough time to prepare for the tournament. “Kulang talaga kami sa ensayo […] Kumbaga late na namin nasimulan. ‘Yung ibang team, prepared na prepared. Ngayon, paghahandaan namin next year […] Kulang kasi sa programa ang AB so parang nangangapa pa. Sayang, malakas sana ‘yung lineup,” Tomacas told the Flame.